These hashtags are great to connect you with other writers, readers and professionals in the publishing industry. For a comprehensive list of hashtags, click HERE. These are opportunities for writers to pitch their work directly to agents and editors on Twitter. Click on the links below for specific rules. #PitMatch: Books for all ages. 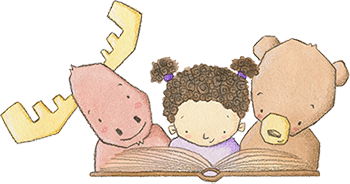 #PitMad: Books for all ages. #FicFest: Children's Books, MG, YA, NA, and A manuscripts. #SSFPit: Books for all ages, Science Fiction and Fantasy only. #KidPit: Children’s books from board books to YA. #AdPit: NA and A manuscripts. #Pit2Pub: Books for all ages. It involves publishers rather than agents. #SonOfAPitch: YA, NA, and A manuscripts. #PitchWars: Contest where published/agented authors, editors, or industry interns choose one writer each, read their entire manuscript, and offer suggestions to shine it up for agents. #SunVsSnow: MG, YA, NA and A manuscripts. #PitchSlam: MG, YA, NA, & A manuscripts. Writers try to get the attention of agents to receive feedback on their work, and revise for final round. #PassOrPages: Various genres & categories. Contest features feedback on queries and first pages from a panel of agents. #DVpit: Books for all ages about and especially by marginalized voices. #RLGL: (Red Light, Green Light) PB, CB, MG & YA. Contest to win a critique of your manuscript. #MSWL (Manuscript Wish List): Where agents and editors share what they’re looking for. #NaNoWriMo (National Novel Writing Month): Writers are invited to write a novel in a month and connect with a community of writers and professionals. #NaPiBoWriWee (National Picture Book Writing Week): Writers are invited to write 7 picture books in 7 days while connecting with a community of writers and professionals. #Storystorm: Writers are challenged to create 30 picture book concepts in 30 days while connecting with a community of writers and professionals. #RhyPiBoMo (Rhyming Picture Book Month): Writers research rhyming picture books and practice writing them while connecting with a community of writers and professionals. #12x12: This is a year-long writing challenge where members aim to write 12 complete picture book drafts, one per month, for each 12 months of the year. #ReFoReMo (Reading for Research Month Challenge): To help picture book writers reform their writing by reading and researching picture books. #ReviMo (Revise More Picture Books Challenge): Authors of PBs can revise their manuscripts and receive critiques. #ChaBooCha (The Chapter Book Challenge): Authors are challenged to write a chapter book in 1 month while connecting with a community of writers and professionals.